I embrace the struggle to find images. Photography isn't easy and actually, the harder it gets the more rewarding it becomes. I love the journey. That being said, there are a few things I like to do to try to find some inspiration before giving up. One of them is to think about other photographers and what they would do if they were to photograph what I'm attempting to capture. I try to visualize them next to me, and look at what they do -and hey, sometimes they just leave!-. I also think about their work from similar locations, "can I make something like that around here?". I love to explore locations that photographers I admire have visited in the past, and place myself at the spots where they made their images. Being able to see what they saw is priceless and can teach you a lot about photography. Next time you are struggling finding images, try to think about what your favorite photographer would do if they were in your position. It's probably just rain. That's what I thought when I first heard it. As I was putting my headphones on, something told me to pay closer attention to the noise coming from upstairs. It's not rain. I knew something was off as soon as I started climbing the stairs. There's smoke up there. A lot of smoke, actually. Something was burning and I didn't know what to expect. The room seemed fine at first sight. It took me a couple of seconds to see them through the holes they had created on the ceiling: flames. There was a fire in between the roof and the ceiling right where the chimney column goes through. The house is burning down. I made this image during a walk yesterday evening. I had passed by this field dozens of times before, but something caught my eye this time. This image isn't supposed to work: there's no clear subject, no anchor, no leading lines. And still, there's something about it that I love. It might be the emptiness of the field, or maybe the blackness of the pine trees. Perhaps the two bright cottonwoods on the very left edge of the frame. Whatever it is, I think this image has many of the elements I seek with my photography. Many times, that means following your instinct and forgetting about everyone else's rules. It's an old trick that my mind likes to play on me. Whatever I do, even if I feel like I did a good job, it always comes to whisper: "you could have done much better than that". I'm taking a break. Not because I'm burnt out but because I want to listen to that whisper. I want to know if I can do better, I want to find my limits, I want to know myself better. For the next 16 days -when I have my next photography trip- I will be focusing on those areas that I've been neglecting: self-care, reflection and study. While it's totally possible to get a camera and then find a subject to photograph, it's definitely much easier to find something you are passionate about and then start capturing it. If you gave me a camera 10 years ago, I wouldn't have known what to do with it. Instead, photography came naturally to me when I discovered my passion for the outdoors after moving to the Pacific Northwest. A camera is a tool to capture what we see. I didn't see anything 10 years ago. I do now. My to-do list for 2019 is the same I had for 2018: become a better photographer. The problem is that setting goals for anything creative like photography might be quite difficult. "Make better images" is not a goal that makes sense, since there's no way to measure it. I do believe we become better at anything -creative endeavors included- the more we practice it, though. That means creating more content in whatever form that helps us improve as photographers. Making commitments is very important for me. This might not apply to everyone, but I do my best work under pressure: knowing that I have to upload something tomorrow will force me to create that something. This year, I'm committing myself to create every single day, and that can be easily measured: I will be uploading a new image every day and two new videos every week, among other things. It might seem counterintuitive to force oneself to create, but I've made some of my best images after dragging myself out of the house into horrible conditions. If I follow through on my commitments, I will be a (much) better photographer by the end of the year. It couldn't be any other way: creating every day makes you a better artist. Instead of setting big and rather abstract goals for the year, I am making small but frequent commitments. After all, photography is a marathon that never ends and the only way to keep going forward is step by step. I got started in photography because of nature. It was when I moved to Oregon that I felt like I had to photograph those places my eyes couldn't believe. I hadn't been out in nature for a while, and I believe that is what was driving my recent lack of inspiration. Instead of visiting yet another town here in the Algarve, I decided to go on a little hike in some nearby hills (called Fonte de Benémola). The short-term benefits were pretty clear: I was able to breathe and clear my mind. I think there will be some more long-term benefits, because sometimes all you need to run a marathon is to take that first step. To make great images, you need to look and see. Some of us seem to lose the ability to do so when we stay in the same place for a while, when we get used to what surrounds us. Josef Koudelka never stays more than three months in one country. He's afraid he'd become blind. If you struggle to see in familiar scenes, try something different. Try street photography, still life or portraits. Shoot with your phone or pick a different lens. Try to make images "the wrong way" by following bad practices. Mixing things up every once in a while helps us to unlearn some habits and open your mind. Making images that matter is not an easy task, and we can go several days, weeks or even months without making one. I believe in Photography Waves: days when the conditions are perfect, or you are extremely inspired, or the Muse is on your side... whatever the reason is, you make not only one but several meaningful images in one day. Some thoughts about photography and camera gear. The technical aspects of photography is the easy part, do not let anybody make you believe otherwise and stop you from going out and making some images. I believe the best art is the one that makes you think: "I could do that". When a movie is so well directed and edited that seems it couldn't be any other way, we think we could do that. When an image is simple -yet powerful-, we think we could do that. Truth is, simplicity is the hardest thing to achieve. "I could do that!" is the ultimate compliment to your art. 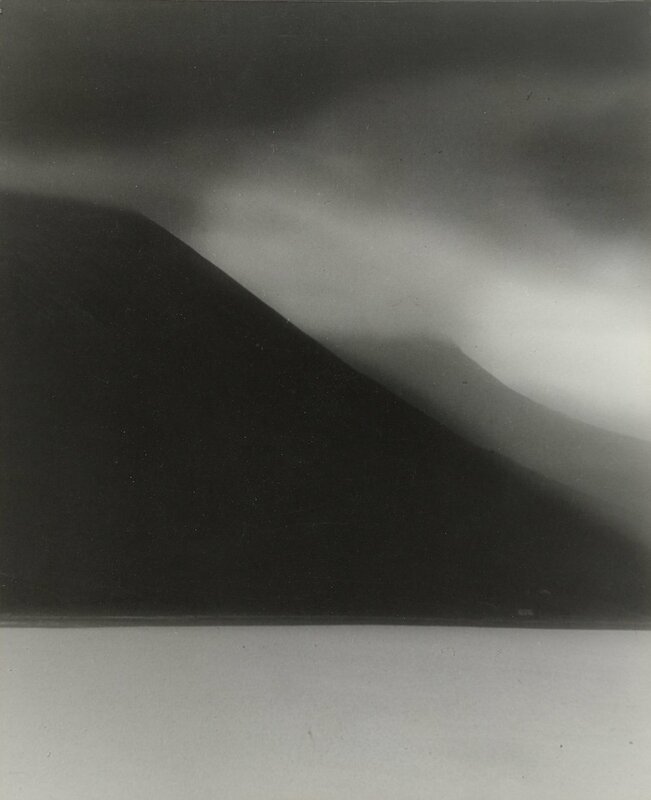 Edward Steichen was one of the most regarded photographers of his time. He made some of the first modern fashion photographs. A lesser-known project of his is a series of images he worked on for a couple nights. 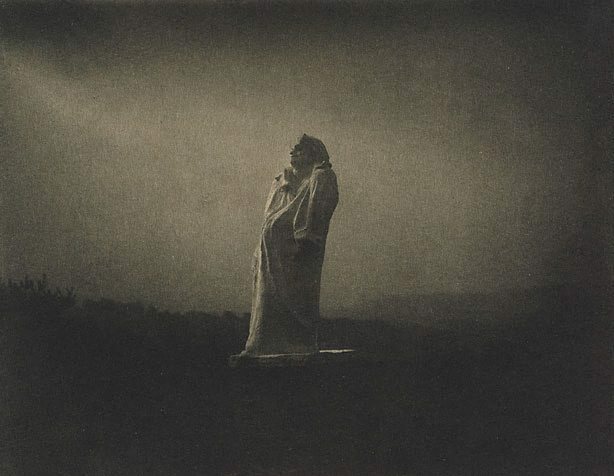 These photographs (Three Views of Balzac) from 1908 were some of the first made with moonlight as the only light source. More than a hundred years have passed, and they are still powerful, captivating images. Keep in mind that there was no way to meter a scene like this by then -he had to play with different exposure times. He had an idea in mind, though, and he executed it to create art that hadn't been seen before. I'm a winter person, I don't like much about the summer. The heat, the crowds, the hars light... none of them. It's usually a bad time for me to go out and make images, so I spend most of the summer inside writing, editing and reading. It was fun and I learned a lot from every one of these projects. I hope at least one of them inspires you to try something different!